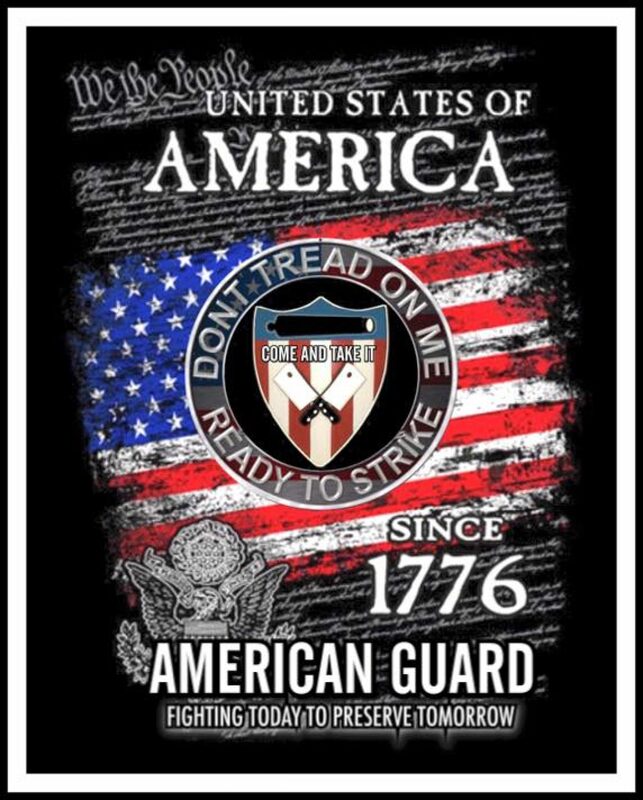 The American Guard is dedicated to the liberties guaranteed in our Constitution, particularly the first 10 Amendments. Under the Venezuelan Constitution, in absence of a President, the leader of the National Assembly assumes the presidency until there is a new election. That leader is Juan Guaidó, who invoked Article 233 of their Constitution and called for lawful elections. The American Guard officially recognizes Juan Guaidó as the legitimate leader of Venezuela. We condemn the illegal usurpation of power by the Communist regime of Nicolás Maduro. The American Guard demands that the United States government obey our Constitution, as a core principle, and thus we honor those who demand the same of governments in their own countries. Our nationhood and our domestic freedom is threatened by a power that spans the globe. When brave patriots arise to fight the same beast, we must acknowledge fraternity with them as allied warriors, who are opening another front in the same war, against another branch of the same enemy. We condemn the seizure of private property and businesses by the illegitimate regime of Nicolás Maduro. We condemn the violence and human rights abuse by the same Marxist regime. We stand in support of the citizens of Venezuela opposing these Communists and Socialists. We call for the release of all political prisoners. We support the right of Venezuelan citizens to choose their own leaders. We respect the demand of Venezuelans to live under the rule of law, by consent of the governed, and in accordance with their Constitution. We pray for your success.